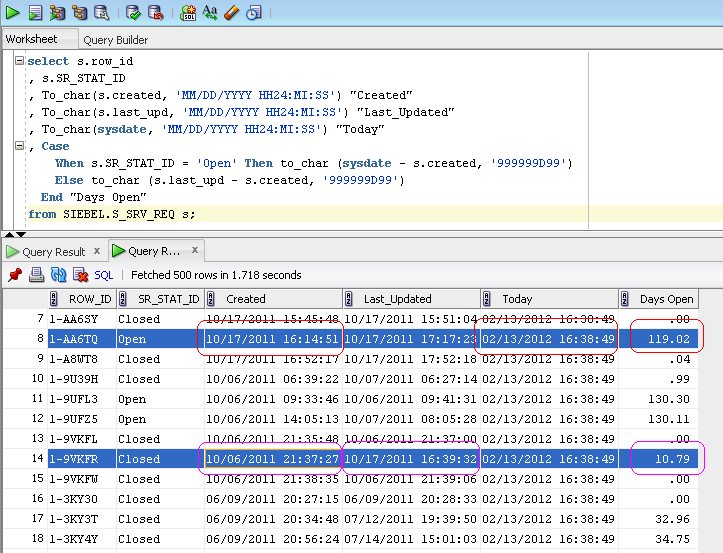 Now the target was to design an Oracle SQL for calculating number of days a Service Request was open. Please note that I have utilized To_Char function with an explicit format specification. Siebel Party Model – What is a User? To receive notifications of new posts by email, please enter your email id.